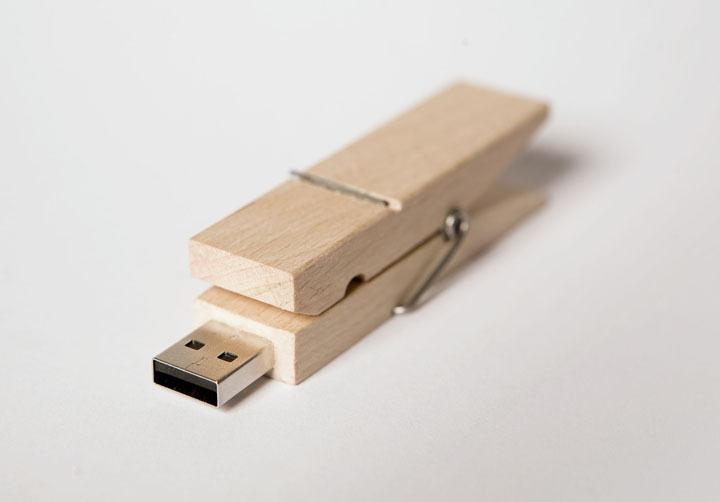 The USB pendrive memory in the form of typical wooden clamp. 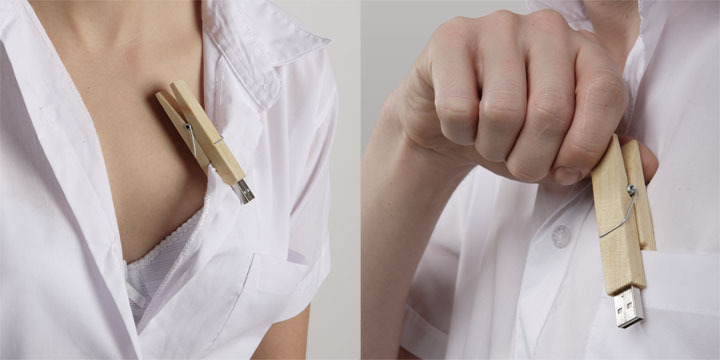 It can be easily fastened to clothes, thus forming an amusing decoration both for women and men. This item combines both tradition and modernity and such combination was an important consideration during design phase.